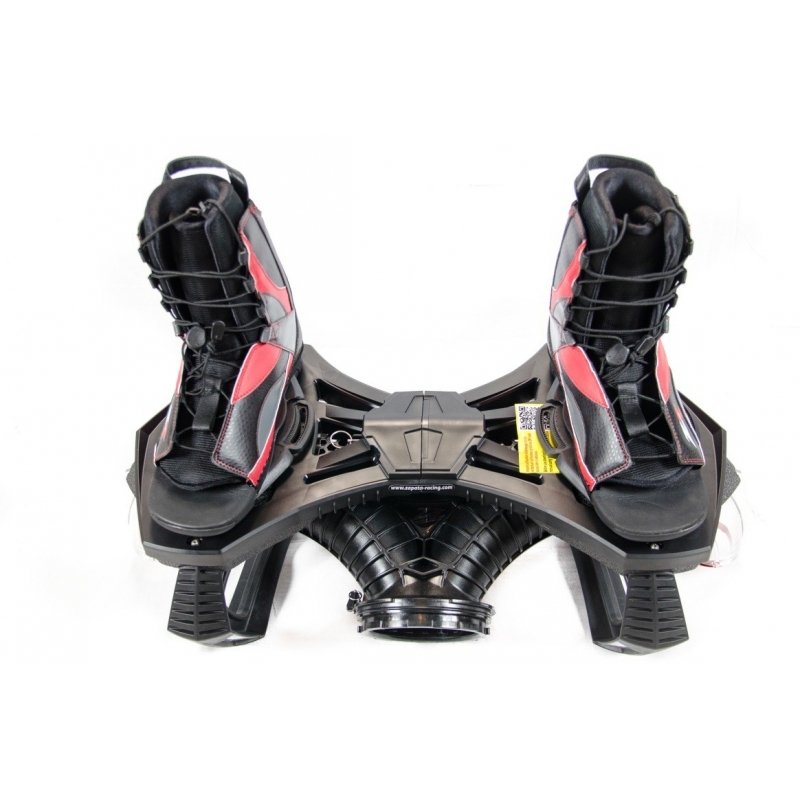 The Flyboard® Pro Series has a incredible design, safe twisting feature which is adjustable to the riders’ strength and that can be blocked for unexperienced users. Flyboard® Pro Series is the evolution of the Flyboard® Legend. For this new model, we propose to you a totally revisited design by our team of industrial designers. 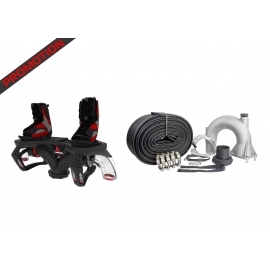 Asides from its appearance, Flyboard® Pro Series offers many new features and innovations. Among them is the « secure twist » system allowing the board to rotate on its axis from 10 to 20° with the force of the riders legs. This innovation is equipped with a return spring, allowing the rider to return to a neutral position, as well as stops to lock and limit the spin angle. Also an ultra-resistant, transparent Y pipe made with injected polycarbonate. While developing this new Flyboard®, we have placed special attention to the resistance and strengthening of parts ensuring safety. All tests and measurements of force and torque were made thanks to advanced software comparable to those used in the design of Formula 1 vehicles. - Diameter, orientation and angle of the nozzles adjustable forward or backwards to optimize the use and compatibility with the PWC power. - U pipe equipped with a propulsion system with a Double Swivel ( Dubbel Lager ). The PWC is propelled to increase the movement speed. - Shoes strengthened in the front and in the back, offering an optimal protection of the foot and the ankle during Flyboard® practice. 1 quick clip for an easy uncoupling between the Flyboard® and the PWC .